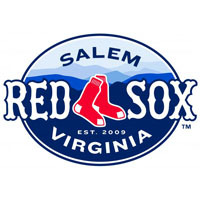 Nick Natoli sent a single to right field in the 10th inning to drive home Blake Swihart, and the Salem Red Sox walked off against the Carolina Mudcats 4-3. Salem made the night memorable for fans that came out to watch the first post-All Star break home game. It was the first time the Sox played at LewisGale Field since June 16. Salem had a regulation victory in its sights when it entered the ninth with a 3-2 lead. But Bryson Miles and Alex Lavisky put together back-to-back doubles against Matty Ott. Despite blowing the save, Ott ended up getting the win, and pitched fairly well overall. He allowed one run in three innings pitched, and delivered a 1-2-3 top of the 10th. In the bottom of the inning, Swihart walked, and was sacrificed to second by Cody Koback. David Renfroe added a single to push Swihart to third before Natoli ended the evening in grand fashion. Salem starter William Cuevas allowed an early run in the first, but bounced back to sail through the majority of his outing. He allowed two runs in seven innings on six hits, striking out a season-high eight. Cuevas now has a 1.73 ERA in his last four starts, lasting at least six innings in five straight starts, and pitching a season-best seven innings in two straight outings. In an abbreviated start in his first appearance back from the DL, Carolina’s Joseph Colon gave up one run in three innings. Reliever Rob Nixon took the loss for the Mudcats. Salem tied the game at one in the third on a Stefan Welch single that plated Deven Marrero. After the Mudcats jumped ahead 2-1 in the fourth, Keury De La Cruz evened the score with an RBI single in the fifth. Salem’s left fielder finished 2-for-4 with a walk on night when his poster was distributed to the first 500 fans in attendance. The Red Sox gained the lead in the sixth on a Henry Ramos groundball back to the pitcher. Mudcats reliever Fabio Martinez tossed his throw to first over Paddy Matera’s head, which scored Renfroe. Neither team would score again until the ninth. This is the third time this season Salem has won on a walk-off hit. The last walk-off victory came on April 25thwith Keury De La Cruz doing the honors. Salem is now 15-13 in one-run games, compared to a 6-18 mark for Carolina. Tomorrow night the teams will square off for a 6:00 pm affair, with Mike Augliera on the hill for Salem against Nick Pasquale.